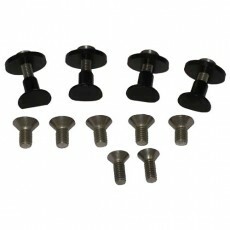 The Limited Edition Most Needed Hardware kit (2009 & earlier) consists of (4) Tower mounting Dnut Assemblies; (1) Foil assembly Hardware kit for the Limited Edition model Sky Skis. Buy this whole set and save over 10 bucks than if you bought it all separate! And its always good to have spare parts on hand.